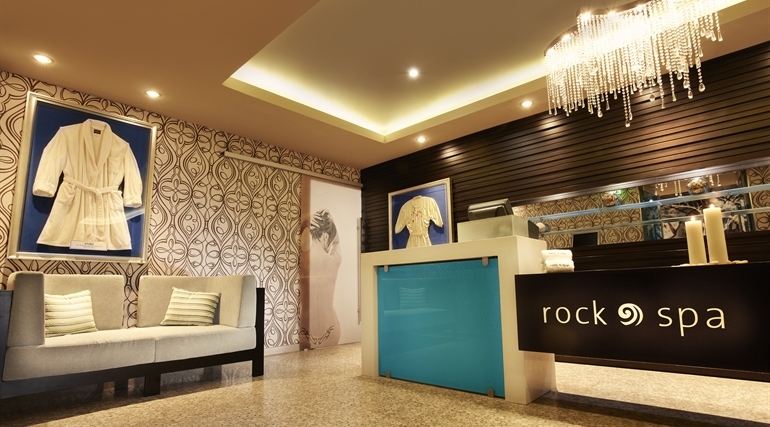 If it’s been a hard day’s night, relax and rejuvenate at our decadent Rock Spa. Our on-site spa offers signature Hard Rock swagger in a sophisticated and modern spa environment, catering to your every need. You can also take advantage of our full-service spa menu offered right in your suite. Whether you need a post-party facial or a poolside massage, you’re already on our VIP list. Hard Rock Hotel is the best of Panama City spa hotels, with a huge menu of signature massages, baths, body treatments, facials, and other beauty services. There’s something for every member of the family with treatments designed specifically for men, women, kids, and teens. Lose track with a musical massage that takes you away from the world for a while. A masterfully blended sound track, take you on a experiential journey, in sync with a personalized performance of techniques, pressure and rhythm. This treatment is infused with your choice of natural organic essential oils to reduce stress, ease muscle tension, and detoxify. You have never felt the music quite like this. Retune your skin and rock your soul with a two-part treatment that takes the old away and invites new nourishing elements in. It starts with a rhythmical Sweetgrass inspired dry brushing, a ritual that softly sloughts rough skin away. It concludes with a soothing detoxifying wrap, to release toxins, hydrate, and smooth the skin. Wrapping it up on a high note. Every rock star needs a little rehab once in a while. This treatment brings the therapeutic benefits of sound vibration and clinically proven organic products to rejuvenate and hydrate facial skin. This journey leaves skin smoothed and refreshed, shedding years and restoring a star-worthy glow. This is the ultimate healing experience that warms you up, wraps you in bliss and ends with a sweet finish. For the full body benefit, this treatment begins with a cleansing shot of ginger tea to jumpstart the detox process, followed by a brisk, rhythmical Sweetgrass inspired dry brushing. A detoxifying wrap nourishes you skin, while you enjoy the benefits of a cleansing facial mask, a 50 minute massage completes the treatment. A refreshing shot of Rock Spa Detox Tea.